Here at Signal, we’re quite proud of our creative and independent culture. We believe that company culture isn’t a byproduct of ping pong tables or kegerators (no offense to kegerators,) but is in fact the sum of the many personalities that make up the organization. To kick off Spotlight on a Signalite, a new feature on our blog, I sat down with one of Signal’s first employees who is personally responsible for a staple of Signal culture. 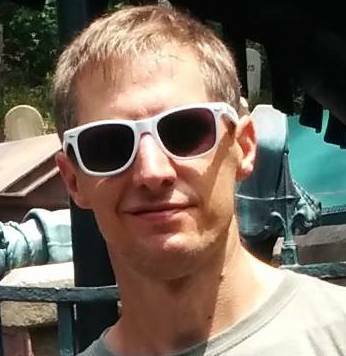 Meet Andrew Violette, a software engineer who joined the team in 2010, becoming Signal’s seventh employee. We could thank Andrew for codifying our casual dress code, but his greatest contribution is his love and devotion (and now ours) to food trucks. Although Andrew may have originally built Chicago Food Truck Finder for his own convenience, it quickly became evident that he wasn’t the only Chicagoan hungry for food truck whereabouts. On a typical summer afternoon, Chicago Food Truck Finder can expect to see about 2,000 unique visitors. The drivers themselves have also flocked to the app, demonstrating a desire for a quick and easy way to share their location, and now close to 200 trucks can be located on the site. What began as an idea to fill a need quickly grew into what Andrew refers to as his “vanity project.” Andrew’s food truck finder has evolved beyond a website and now also includes an Android app, Chrome extension, and is even expanding into the Orlando market. Beyond food trucks, Andrew has also created a tool to map out Chicago’s many farmers markets, and he may begin promoting Chicago’s street festivals soon as well. Because of his Food Truck Finder, Andrew has gotten to know many local food truck owners. The rest of us at Signal benefit mightily from from these relationships, with a steady stream of the city’s best food trucks pulling up right outside our office in the summer. 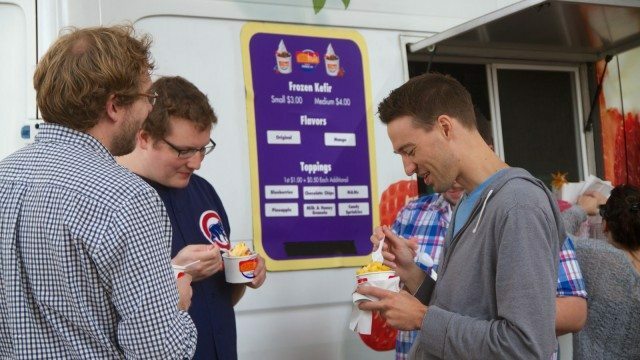 Signalites enjoying frozen yogurt from a Chicago food truck. Andrew’s personal rule has always been to work no more than five years at a single company. But with his five-year anniversary at Signal right around the corner, he can’t imagine being anywhere else. He explains that what he loves are the people. So what’s Andrew’s favorite Chicago food truck? That would be the Fat Shallot, known for its made-to-order sandwiches and truffle fries. Favorite Signal Memory: When Signal’s boisterous personalities were a bit too much for the restaurant hosting our first holiday party. Nate was formerly part of Signal's sales team. He's a graduate of North Park University, a beer enthusiast, and an avid reader.